If I were to ask you who your ideal customer is, what would you say? I appreciate the optimism, but I have some bad news: When you try and sell to everyone, you end up selling to no one. New businesses especially need a more focused, specific market than “any technology company.” The problem is, they don’t know how to accurately define their ideal customers, so they just guess. But guessing doesn’t cut it. Selling to the right customers is too important to gamble on. So let’s take some time today to create a realistic ideal customer profile. If you already have one, read on anyway. Maybe yours could use some improvement. What is an ideal customer profile, and what does it do? An ideal customer profile describes the fictitious individual or organisation that gets the most value out of your product, and provides the most value back to you. We’ll go into what that means shortly. This profile helps you find qualified prospects and protects you from selling to the wrong customers. For outbound prospecting, your profile will give you a clear target to aim for, resulting in highly qualified leads. For inbound prospecting, you can compare incoming leads to your profile. If they don’t match the criteria, you’ll know to move on. Simply put, an ideal customer profile helps you identify and sell to the type of customers that will most benefit your business. Although ideal customer profiles describe a fictitious organisation, they need to be based in reality. The following steps assume your business has at least 10 customers. Without those customers, you won’t have enough data to create an accurate profile. If you’re not at that stage yet, check out this guide to getting the first 10 customers for your startup. Your “best” customers are the customers who are the most successful with your product, not necessarily the ones who are the most happy with it.Happy customers like your product. Successful customers receive real, tangible value from your product, and offer that value back to you. Successful customers should be able to easily quantify the value they receive from your product, and it should always be substantially higher than what they pay for it. Once you have your 10 customers, move on to step two. Create a simplified profile for each of these 10 customers that outlines their defining characteristics. For example, how large are they? What industry are they in? Where are they located? Add any industry-specific fields you see fit, such as social media presence or brand awareness, then move on to step three. Take a look at your 10 customer profiles side-by-side. What traits do they have in common? In almost all cases, there will be a handful of key elements that most (if not all) of your top customers share. Generating the same annual revenue? Using your to product solve the same challenge? If you’re having trouble finding commonalities, it might mean you didn’t create a thorough-enough profile for each of the customers in step two. Consider going back and taking a closer look. If you dig deep enough, you’ll find a handful of key elements they all share. Compile all of those commonalities into a single profile, and you’re done! You’ve created your ideal customer profile. Your business is going to grow and evolve over time. As it does, make sure to update your ideal customer profile. At least once a year, run through the three steps above. Update your list of high-value customers, identify their defining characteristics, and create a new profile. You might be surprised how much your profile changes over the course of a year. You can organise your ideal customer profile however you see fit. But if you need some inspiration, here are three examples. The shorter your profile, the easier it is for your reps to remember on the fly. By limiting your profile to a handful of information-dense sentences, you make it easy to learn and utilise. Our ideal customer is a bootstrapped FinTech startup between two and five employees. This startup averages $1M in annual revenue and uses our product to better manage their growing list of prospects and customers. The list is an easy-to-read, easy-to-understand approach to the ideal customer profile. This lays out the most pertinent information in a format that is easy to review on an as-needed basis. Our solution: Our software compiles their prospects and customers into one easy-to-use interface that allows salespeople to easily track data, follow up on accounts, and close more deals. Product awareness stage: They are aware of our product because of our online presence, but have never been a customer and have not yet signed up for our free trial. Sometimes there just isn’t a substitute for details. When you’re going after a specific niche, you might find it useful to start with a long-form profile like this, and then create a shortened version for reps to memorise. They employ between two and five people full-time, one of whom is a dedicated salesperson. The majority of their leads will be inbound, and need to consider branching out into outbound lead generation to meet sales projections. Their sales team has been managing their accounts through an Excel spreadsheet and, although it worked for them in the beginning, the system has not been sustainable as they’ve grown. They are beginning to let accounts slip through the cracks and spend more time trying to manage current accounts than on-board new ones. You get the idea. This approach outlines every potentially valuable detail about the ideal customer to make it easy to spot them from a mile away. If you feel like your profile is limiting your leads, that’s not a bad thing. New businesses especially need a hyper-specific customer profile. If only 15 companies fit the specifications in your ideal customer profile, then go out and close those deals. But until you’ve locked down your ideal customers, don’t step outside them. 15 high-value customers are worth more to your business than 30 low-value customers (that’ll probably end up churning anyway). If you’re on the fence, I challenge you to give it a try. Set aside an hour or two this week with your team and create your ideal customer profile. Then use that profile to track down and close deals. If you don’t notice a difference, forget about it. Shred the profile and keep doing things the way you were. But when you do notice a difference, I want you to come back to here and share your experience, and your profile, in the comments below. I can’t wait to hear your success stories. Until then, get back out there and crush it. This is a guest post, courtesy of Close.io. The Bitter Business has no business relationship with Close.io other than enjoying the quality of their insights into sales and how to sell better. 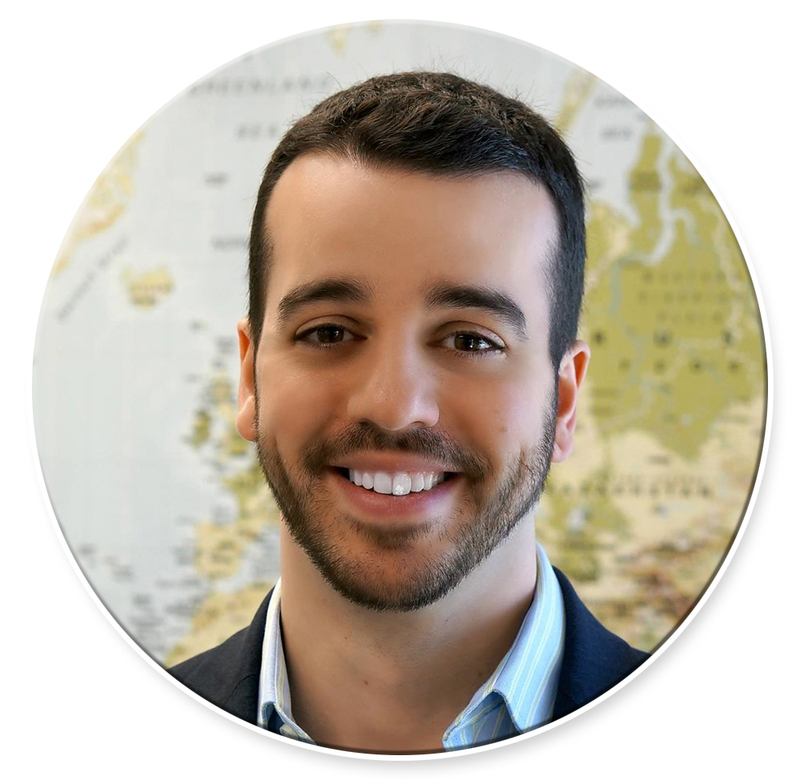 Steli Efti is the co-founder & CEO of Close.io, an inside sales CRM that allows users to make & receive calls with one click, automatically tracks all your emails, and minimises manual data-entry. Customer targeting or who a business sells to whether it is B2B or B2C, is a key part of the business planning process. 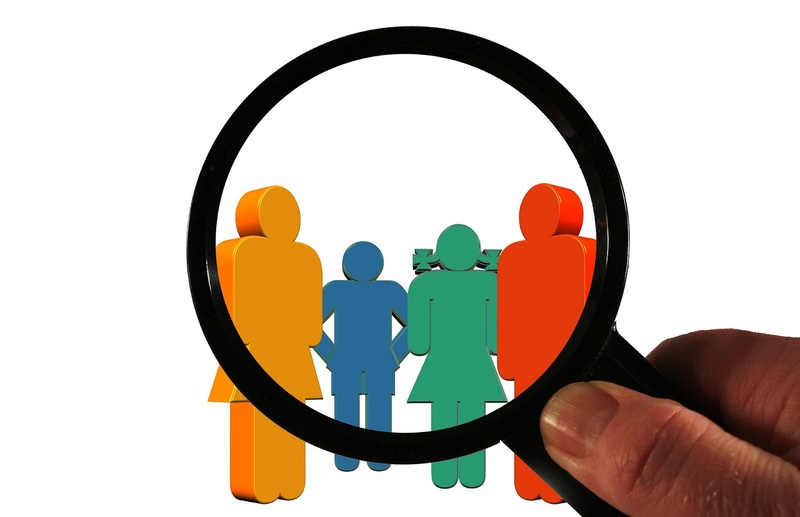 Customer profiling and target selection is critical as it defines the marketing strategy, resources, costs and customer target selection lists for the sales team. A businesses services or products may have appeal to a wide range of customers or markets but the reality is you cannot target everyone at once so you need to list your target customers by demographics, segment, industry and size to get the best return possible. Every business wants as many people or buyers as possible to know about their business. However when it comes to customer acquisition the more customers you want to reach, the reality is the more time, resources and money it’s going to cost. Defining the customer acquisition strategy and target customer selection may feel like you could be ignoring some groups or segments but it is important to remember that you’re not excluding anyone; for now the business is choosing where to focus, to spend the time and money to win new customers at reasonable cost. Customer targeting focuses a business and ensures all marketing and sales resources are being maximised. Focusing on a market segment or profile of businesses/consumer who could be interested in what company is offering allows you to communicate and engage with that segment more deeply. The cost of customer acquisition alongside the product to market fit is critical for any business success. Review the business plan, the business mission, the product strategy, and then look at the goals the business has set itself, next analyse the products and/or services on offer. Think about how the products or services you sell solve a problem for a potential customer. Also, think about what sets you apart from the competition in your industry—what makes you different? Where are the low hanging fruit? And who might be interested and who may benefit most from having what you are offering. In customer acquisition knowing why customers buy and why they should consider you is vital in identifying your target audience. Now move on to the information you need to know and why. What do you need to know about your potential customers in order to reach them? As your ideas become clearer, refine the business plan and go to market strategy to focus on who you want your audience to be, remember product to market fit is a key building block in business success so target selection is ultimately about the customer. Rather than think about who you would like to sell to, think about the market, who do you believe is considering or likely to evaluate the products and services you offer. Start with free publicly available research. Existing sources like LinkedIn, Google, Industry whitepapers, articles and forums can help most businesses gather together information about your market, the industry, your competition, and the profiles of the potential customers you have already identified. While it takes time and effort, the cool thing is that someone has already done the work and the information you gleam will not cost you anything. Join groups, follow influencers on Twitter, and get access to updates on social media and what the competition is talking about. Create a typical customer profile. Demographic information: This might include for B2B targeting – company size, industry, location, financials, and buyer path or decision trees. In B2C this may include – customer age, gender, location, ethnic background, marital status, income, and more. This information can be essential for developing the actual customer profile list. Demographic information will help you identify the type of person or business who you believe will be most open to buying your products and services. Next step is to get immersed in where your customer target profiles live on the web. 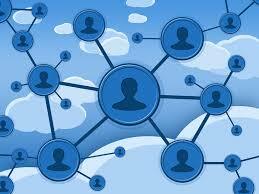 Find out what forums, groups and social networks they engage with. Can they be social influenced with content; do they invite connections, what is their culture, habits or interests? The information put together on customer profiles together with knowing where the on-line locations your target audience hangs out or how they use technology will improve your chance to create awareness and shorten the sales cycle. Customer target selection and profiling is a continuous effort as your products and growth stages change. Every business needs to continually conduct research and tap into social networks for conversations to stay current on market and industry trends including your competition. Also it is important to track how your current and potential customers move through the buyer funnel. A key part is to have the marketing tools and insights to make sure you can track leads, traffic, sales, social interactions, requests for information, and more. All of these customer touch points are important to monitor. This marketing data will help the business to identify trends, patterns, and possible areas of improvement. Refining and improving your cost per lead, cost per sale and lead to revenue metric will ensure you maximise the marketing efforts as your business grows. Enter your email address to follow the Bitter Business blog and receive notifications of new posts by email. Sales training and digital sales transformation including social selling strategy training in Ireland.